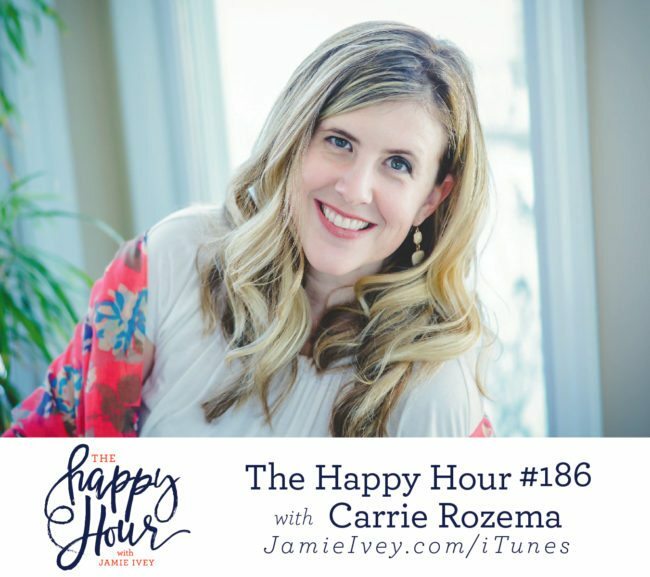 My guest for The Happy Hour # 186 is Carrie Rozema. Carrie is co-author of 'The Least of These', a personal testimony of the redemptive power of Christ in the face of her husband's heroin addiction. Carrie and her husband Neal share their personal testimonies in hopes of bringing insight and freedom to those held captive by drug abuse and incarceration. In today's episode, Carrie says "God is in the business of redeeming broken people", and throughout our conversation today, I know you'll hear so many examples of how God will pursue us no matter what the circumstances. Carrie begins by sharing how God rescued her from an unsafe marriage, and how she came to know God through His Word. As Carrie was healing and growing more in her faith, in walks Neal - the exact opposite "type" of man Carrie thought God would pick for her. You guys, she even told him on the first date that she wasn't the girl he was looking for. Carries describes how a few months into the relationship, he admitted he was on parole. She tells us how she finally learned the truth about his heroin addiction when he was sent to prison. She first told Neal to lose her number, but instead throughout Neal's years in prison, God continually pursued both of them, and they ended up married just ten days after Neal was released. At the end of our conversation, Carrie gives a convicting challenge to the church: she encourages us to step out and welcome people who come from hard situations such as abuse, addiction, or prison. I loved how she said even if it seems messy or hard, we should "roll out the red carpet". 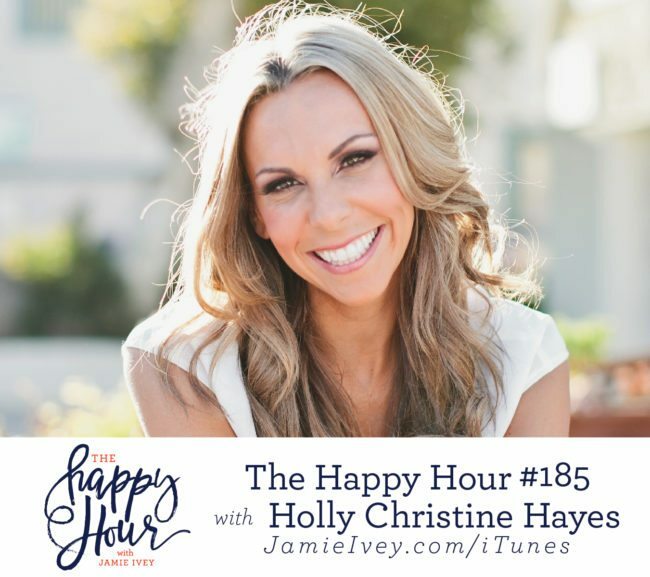 My guest for The Happy Hour # 185 is Holly Christine Hayes. Holly is an author, world-renowned recovery ministry expert, and founder/CEO of Sanctuary Project, a social enterprise bringing hope and healing to survivors of trafficking, violence and addiction. Holly was recently chosen as a new Voice for Women of Faith and is passionate about sharing her radical salvation story in safe houses, churches, conferences and recovery communities all over the world. I know that after listening to my conversation with Holly, you are going to love God more and be affirmed in how much God can redeem in our lives. Holly and I start out the conversation talking about what it means to hit rock bottom, and no matter what your story is, pain is pain. Holly shares her story of abuse, addiction, abortion, and trafficking that led her to the moment when she prayed the words, "God help me." Holly shares her journey of becoming sober and getting to know the God that saved her. I cannot stop thinking about when she told me the amazing story of how God met her in the Word when she sought to know Him better by opening up her Bible. 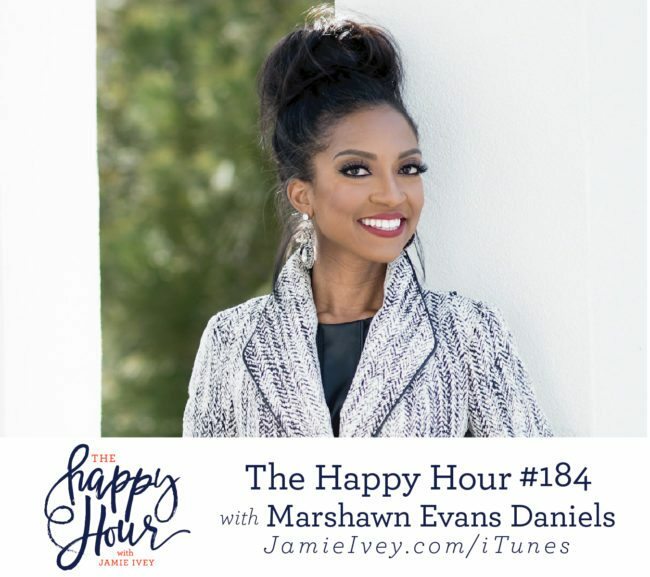 At the end of show, we talk about her passion for helping women gain freedom from shame and her new nonprofit, Sanctuary Project. Be sure to come find me on Instagram tomorrow (3/22) because we will be giving away a necklace from Sanctuary Project! A note about our conversation today: we discuss several mature topics including abortion, abuse, trafficking, and addiction which may not be appropriate for young ears. 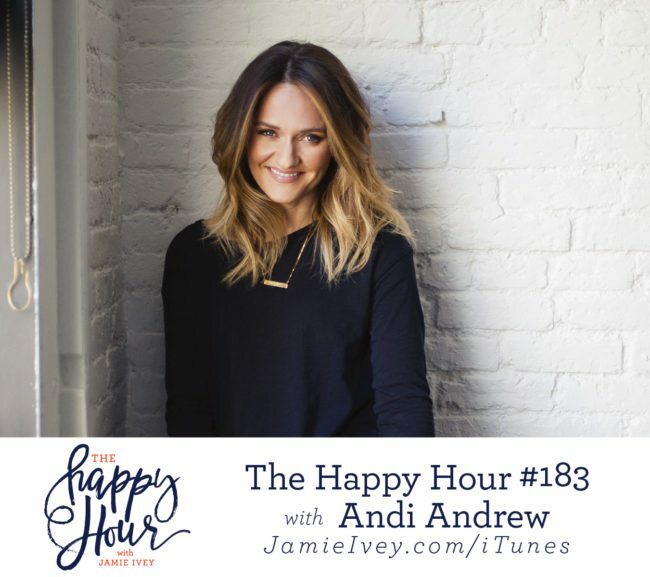 Love the Happy Hour? Check out the Happy Hour Shop!